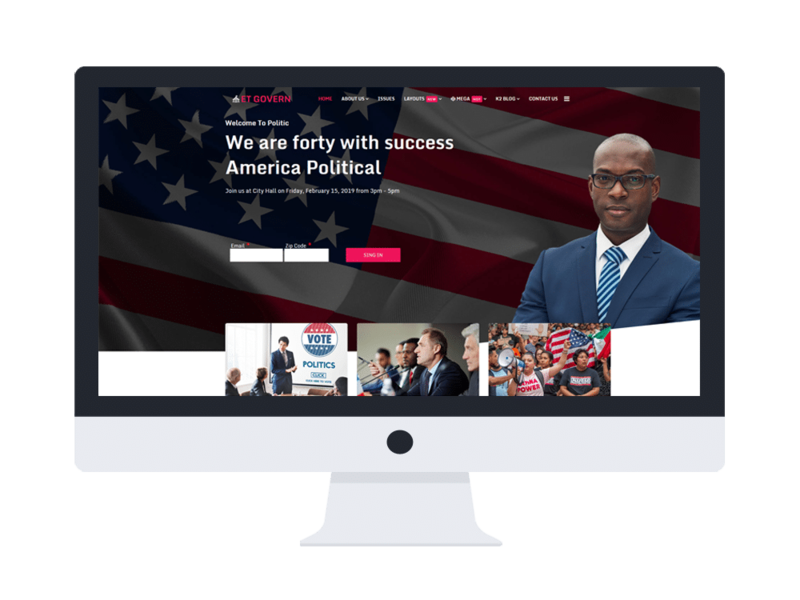 ET Govern is an elegant and modern Joomla Political template which has mission to bring your site a beautiful look with full features. This theme will be perfectly matched for official government website, law companies, prosecutor services, etc. Well-developed based on the powerful Helix Ultimate framework, supporting 8 available preset colors to be suitable with any of your site concept. Besides, organizing content is never a problem with you since ET Govern has brought to you an outstanding layout with eye-catching look, all you just need to do is editing content, as well as making any changes if it is necessary to make your site more beautiful. Especially, ET Govern supports a fully responsive layout which performs perfectly on any kinds of mobile devices and screen resolution. How amazing! Let’s explore it now!